CHOOSE FROM THE BEST SEWING MACHINES THAT RIGHT FOR YOU! 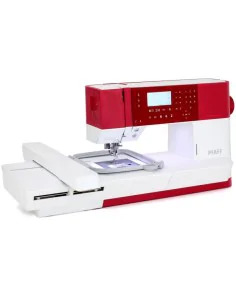 With the PFAFF Creative 1.5 sewing and embroidery machine it is easy and exciting to create one of a kind designs with a stylish twist. By using all the great advantages from the machine and the Embroidery Intro PC Software you’ll see your visions come true, stitch by stitch. So, let’s go spectacular! 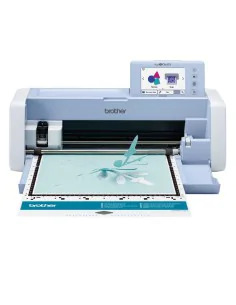 Pfaff Sewing Machine Expression 3.5 is your dream that comes true. German origin and modern technology, the best in sewing! The strenght of perforation allows precise seam even on very thick fabrics, not to mention the IDT system, lightweight and silk fabrics won't ripple; stripes and squares will fit perfectly, and you'll have easier curved seams. Great service, fast answers and machine tested before shipping. I asked to have the manual in German and they sent it to me. Delivery in record time. 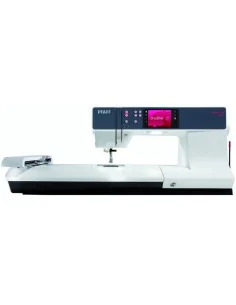 Excellent machine, very professional and also suitable for seamstresses. Very affordable price for a new machine. I recently placed an order with The Sew Shop. I cannot say enough good things about the quality of the items I purchased, the clear and informative website, the super fast shipping, and the wonderful customer service. If anyone is interested in purchasing a sewing machine or equipment I would recommend making your purchase from this online shop 100%. While I am a new at sewing I feel that the Juki machine has been very easy to use so far. It feels sturdy and comes with a lot of options that I can't wait to try, like the embroidery stitches and the one step buttonhole option. I wanted a machine that I could grow with and I think this will be perfect for me. I ordered the Brother Scan N Cut from the Sew Shop on February 19th and it arrived within three days of ordering. I made a duplicate payment by mistake which the refunded immediately without being asked and I was kept informed of dispatch, tracking and delivery throughout. So excellent service from this company. 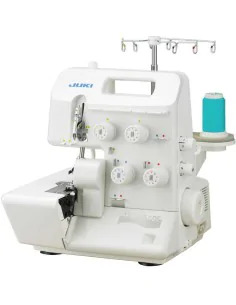 SewShop is the online shop dedicated to those have the hobby of sewing and is looking for machinery, equipment, spare parts and accessories related to this exciting world. Our added value? Thanks to a 60-year experience in the sector of sewing equipment, we choose the best products from the most reliable brands to provide our users with only the best in terms of value for money. 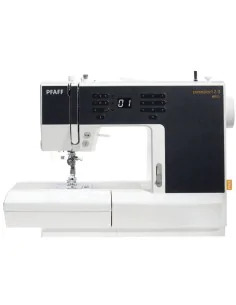 Sewing machines, overlock machines, mannequins, scissors, irons and ironing boards but also motors, gears, caps, bobbin case and much more: on our e-commerce you can quickly and easily find everything related to sewing, from articles for professionals to products dedicated to beginners. Reliability is particularly important for us to differentiate ourselves from other sewing e-commerce and online shops. 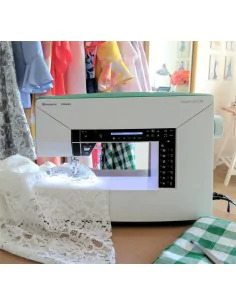 All the products you find on the site, whether sewing machines, overlock machines, embroidery machine or irons, are in fact tested before being offered to the customer. After each order, our technical staff highly specialized in the sewing sector, performs a test of perfect functionality without which the goods do not get the go-ahead for shipping. This attention in the selection results in a satisfaction of the final consumer who, after buying the first time on SewShop, tends to go back to buy other accessories and spare parts. By carrying out this preventive test both on sewing machines and overlockers, the result are extremely. 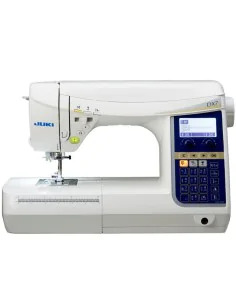 When you are about to buy a sewing machine online it is important to be able to compare the characteristics of different models so as to be sure to buy the best product at the lowest price. This preliminary preparatory study is simpler on SewShop: we care a lot about the writing of the descriptions giving, at the same time, a large space to user reviews. Who, moreover, more than a regular user of our machines can describe the advantages? A practical comparator will also allow you to combine multiple items in the cart and choose the best based on features, needs, brands, reliability and price. What are you waiting for? 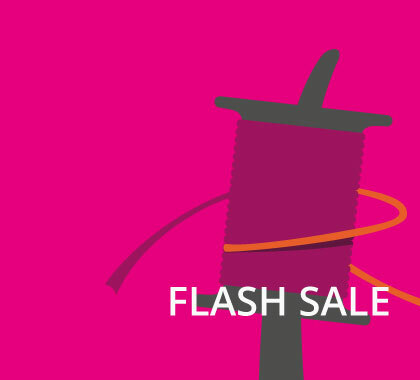 Take a look at our offers: the best sewing machines and the most innovative accessories for those who have the hobby of sewing are available at discounted prices only on SewShop. For orders before 1 p. m.